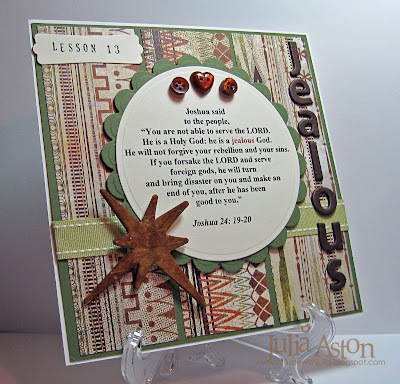 I made this 6x6 page for the His Holy Name Challenges on Split Coast - for Lesson 18 God's attribute was ROCK. We are to look through the Bible (I use http://www.biblegate.com/ to search) and find a passage containing the attribute that speaks to us. 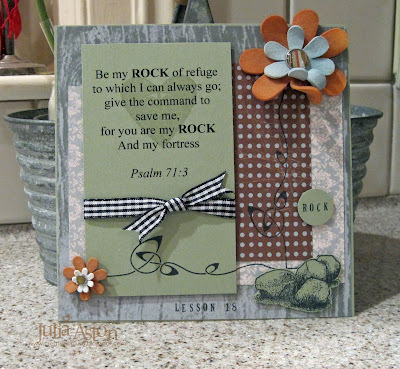 The verse I chose to illustrate ROCK is Psalm 71:3. I found this verse gave me a great feeling of safety and comfort. You can find the HHN challenges on Split Coast here or there's a link on my side bar. 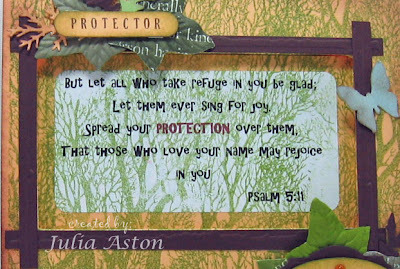 You can see all of my Holy Name pages here. 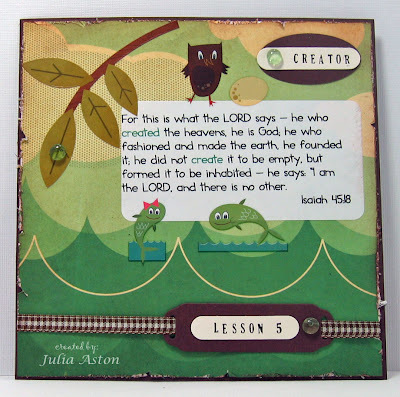 I made this 6x6 page for Lesson 16 in the His Holy Name challenges that I do every other Sunday over on Split Coast. I'm one lesson behind so I was glad to find some time to create today! God's attribute for this week was Judge. I found this to be a slightly scary attribute - none of us want to be judged - especially if we think we might be found lacking! But as James tells us in this verse - God is the only one that has the right to judge - and we need to remember that when we try to judge others or put ourselves above others - that's what I learned from my study on this attribute. A hard lesson to put into practice I think! 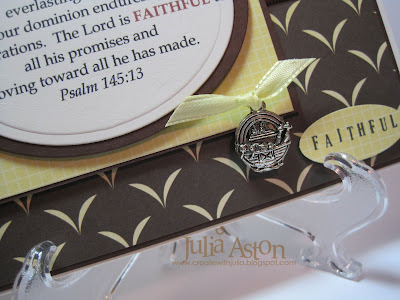 I used fanciful papers by Cosmo Cricket on my page to try and lighten the feeling of the attribute - but used a black inverted scalloped square Nestability to frame my verse as a pointed reminder that we are, in fact, being judged all the time by God - so we'd better think about what we are doing! After I got it together I thought it looked like a cross behind there - an unplanned design bonus! The felt buttons are from Taylored Expressions and the real buttons are PTI. I'm so glad you came by today!! 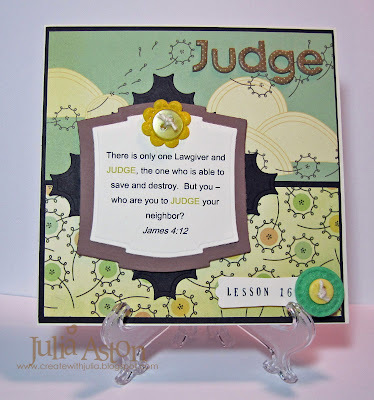 I just had to do the Featured Stamper challenge on Split Coast - Teresa has a wonderful gallery and I could have chosen several to case. I finally picked this pretty card - first because I love that Stampin Up ribbon and I never seem to use it - and also because I liked the sketch. I changed the designer paper and stamps and I didn't do stitching - I did a little doodling and added corners and a border on the bottom instead. 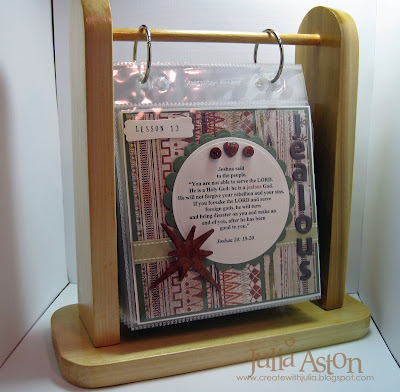 Instead of a card - I made mine a 6x6 scrapbook page as this project is also for the His Holy Name challenge that I do every other Sunday. 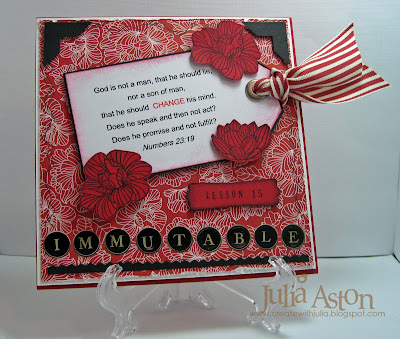 For Week 15 Patter gave us God's Attribute of Immutable (never changing). What a comfort to know that God does not change - that he will always be there loving and caring for us! 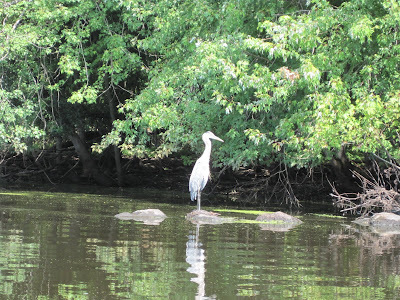 You can join in on the Holy Name challenges at any time - click the link on my sidebar to get to Patter's blog. She posts them there as well as on Split Coast. This is my 6x6 page for Lesson 12 of Patter's His Holy Name Challenges . God's attribute for this lesson was God Who Sees. I found this Psalm that spoke to me about God watching over us and keeping us from harm. I used the Mojo Monday Sketch for my page - changing it to a square and slightly different dimensions on the panels. 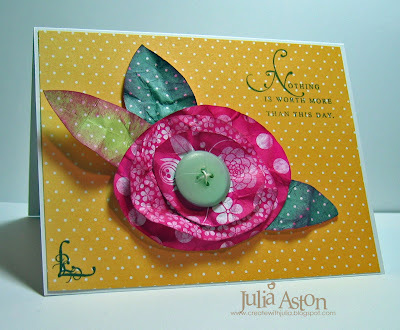 My card today was made for the Ways to Use It challenge on Split Coast - to make crushed card stock flowers - isn't this pretty?! - you can see the tutorial on how to make them here . 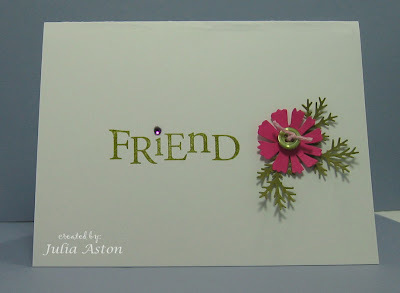 I used Papertrey designer papers for my flower and leaves as well as the dotted background - and I sponged the edges of everything with Raspberry Fizz ink. I've been wanting to try these flowers for a long time - thanks Cindy for the challenge today! Off to make a late supper! I just had to get my stamping in tonight! 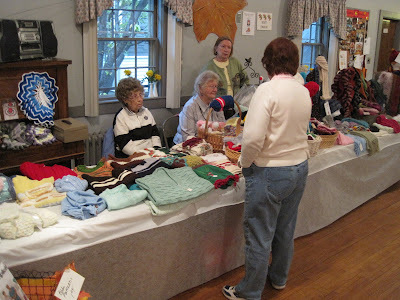 Thanks so much for coming by! 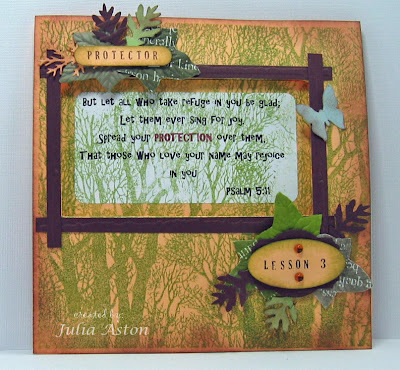 I made this 6x6 page for Lesson 11 of Patter's His Holy Name Challenges on Split Coast. 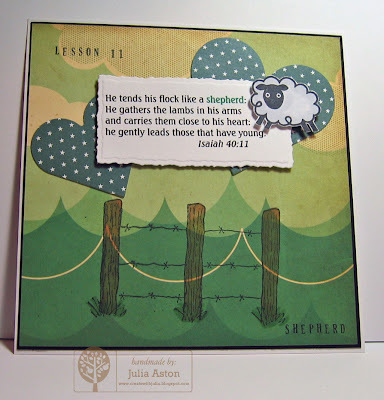 Every other Sunday Patter gives us one of God's attributes as inspiration - for this lesson the attribute was Shepherd. After looking through many verses containing the word Shepherd on http://www.biblegateway.com/ I found this wonderful verse from Isaiah 40:11 that spoke to me. I used today's sketch on Split Coast for my page taking several liberties with it. I turned it on it's side, made it a 6x6 square, and used the fence to represent the center panel but didn't continue it up to the top of the card. That's really taking some creative license! 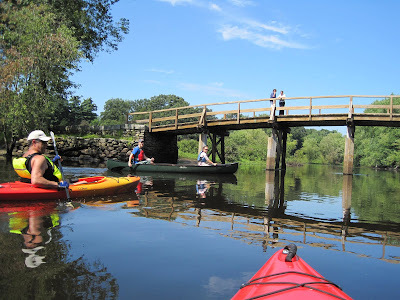 Just a reminder to check out my right side bar concerning the Stamp New England weekend in Connecticut July 10th and 11th. They have all 5 teachers chosen now - me being one of them (woo hoo!!) 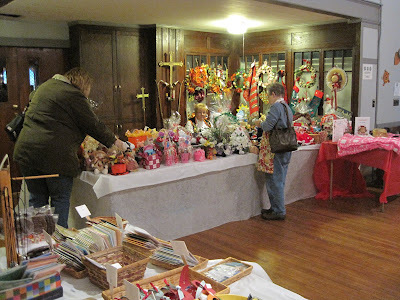 so if you are anywhere near Farmington CT - sign up now - it's going to fill fast. And the Inn we'll be staying at looks absolutely lovely! 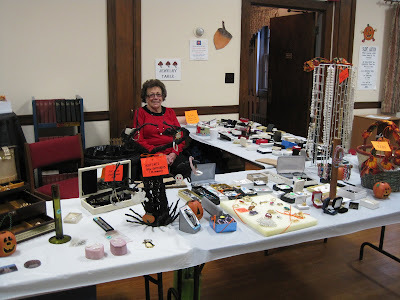 We had a total blast at the last one in NH! Let me know if you're going to be there! I'm a lesson behind on Patter's His Holy Name challenges - but I'm catching up with this 6x6 page for Lesson 10 - God's attribute was LORD. I chose this wonderful verse from Isaiah where we learn that God is pretty much it - our judge, our lawgiver and our king - and in exchange for accepting all that - it is he who will save us. I say let's go for that deal! 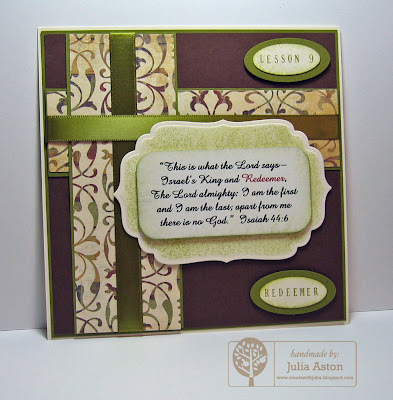 I used Karen Giron's Sweet Sunday Sketch for the design of my page. The crown is grunge board by Tim Holtz that I colored with a copic and then went over with a gold Spica pen for shimmer (IRL it really sparkles!). The verse is computer generated. This also covers last Tuesdays Double Dog Dare that I do with some SCS friends. Michelle (sf9erfan) was the hostess and her challenge was a 1,2,3 one - we were to use 1)a metal embellishment, 2) a ribbon and 3) sponging. We'd love to have you join in on our DDC challenges - just put DDC in the keywords when you load your card on split coast. You can see all the DDC challenge cards here. I also wanted to share a couple of pictures with you today - Sunday we had a beautiful warm sunny day - but towards early evening the sky darkened and we had a brief thunder storm - suddenly the sun was shining brightly even though it was still raining heavily and I just knew there would be a rainbow in the sky. I grabbed my camera (and umbrella!) and ran around the house looking for it and there it was - a double rainbow over my neighbors house. Can you see the hazy 2nd one above the flag? And these giant bearded Iris beauties are blooming profusely in my garden right now - each stem has so many blossoms on it that they are bending down to the ground. So I cut a bunch and have them in vases around the house - they have the most delicious soft scent! This is one blossom! And - I'd like to alert you to a super sale going on at H&M Stamps - Heather is selling all her stamp sets for $8 or less per set for the month of June! That is a super deal in these hard economic times! So hurry over and check them out - while supplies last! 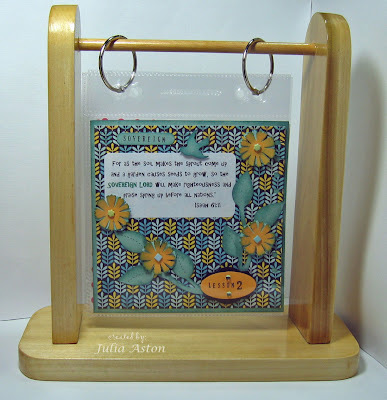 If you'd like some ideas - you can see cards I've made with H&M Stamps here. This is a 6x6 page that I created for Week 9 of Patter's His Holy Name Challenges on Split Coast - God's attribute for week 9 is Redeemer. We are to look in the Bible for a verse that is meaningful to us that has 'Redeemer' in it. This verse from Isaiah spoke to me about this attribute - "This is what the Lord says - Israels King and Redeemer, the Lord Almighty: I am the first and I am the last; apart from me there is no God ". Pretty powerful stuff isn't it?! I used this weeks OCC sketch for the design of my page. I turned it on it's side to accomodate my verse - and then realized when holding it this way - the two crossing panels make a Cross. How very appropriate! 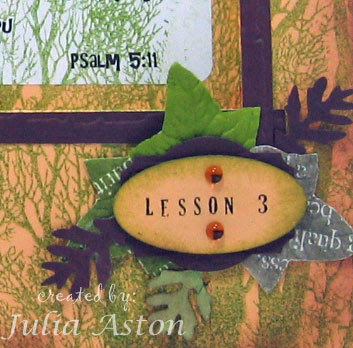 The verse is computer generated - the only stamping on this page is on the two ovals where I used my retired Karen Foster snap stamps for the lesson number and the attribute. You can join in these challenges at any time - check out Patter's post in the forums. 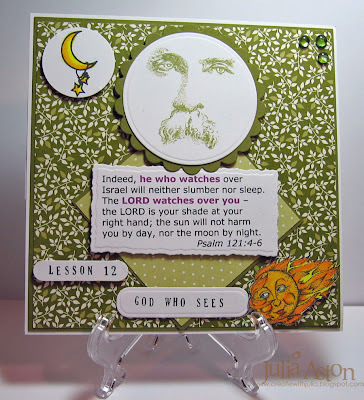 I finally got to making my 6x6 page for Challenge 6 of Patter's His Holy Name Challenge The attribute of God this week is ALMIGHTY. I seem to gravitate towards the verses that speak about God as the creator and ruler of our world - and I chose Amos 4:13 to illustrate Almighty. 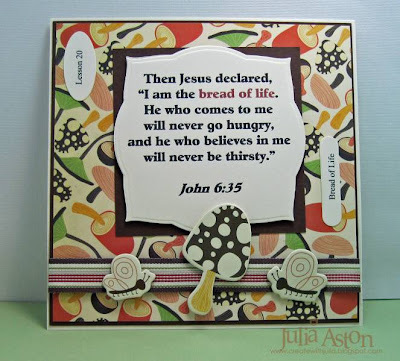 These verses bring a vibrant picture to mind which makes it easier for me to make a card depicting it. My scene this week is a little whimsical using the fun Doodle Factory country background stamp - I paper pieced the moutains and fields - the 'snow' capped mountains and clouds are puffed with liquid applique. The sun, butterfly, flower and almighty tag are all up on foam dimensionals. I made the black borders using an EK Success scalloped punch. 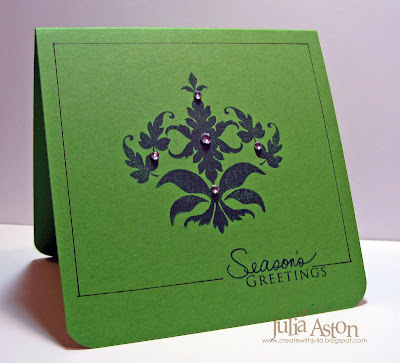 My next card was for the Clean and Simple challenge on Split Coast - to use punches but keep everything to a minimum leaving lots of open space. 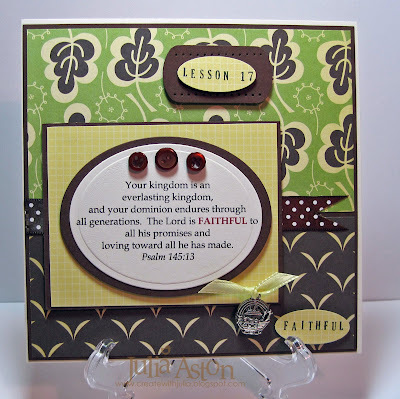 I used the flower and fern Martha Stewart punches, a vintage button from Papertrey Ink, one stamp from the Friends till the End Papertrey Ink set and a Hero Arts gem! Ok - I'm off to bed - trying to catch up on some sleep after a busy weekend! 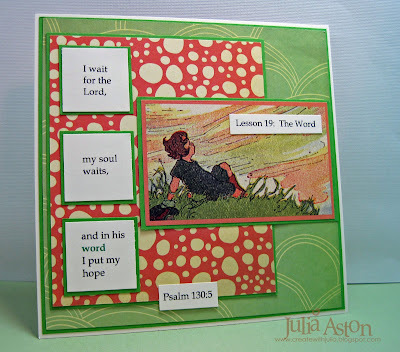 This is my 6x6 page that I made for the 5th His Holy Name Challenge - this past week God's Attribute was Creator. You can see Patter's challenges in the forums on Split Coast here The Challenge is to find a passage in the Bible that uses the given attribute of God (Creator this time) I found several passages that spoke to me and thought about them during the week to try and figure out which verse I would use on my page. I finally decided on this one from Isaiah describing how God made the heavens and the earth and didn't want it to be empty but rather full of his animal and human creations! 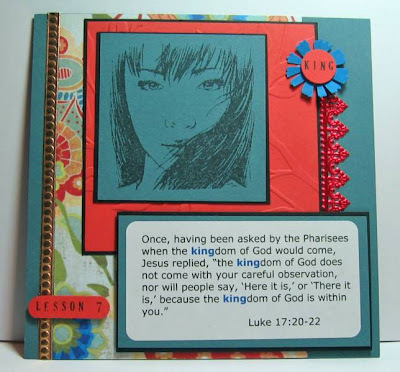 I thought the Basic Grey Mr. Campy paper, rub-ons and stickers were perfect to illustrate this verse. You can join the challenge at any time - maybe the idea of them is speaking to you today??? You can also find a link to Patter's blog in the right hand column - click on the blinky that says His Holy Name Challenges. 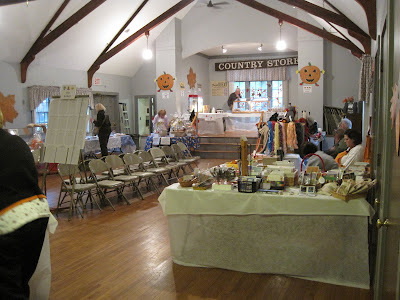 You can see the Split Coast gallery with all the challenge projects here. You can see all of my pages here. When I look for a meaningful passage using the name given us - I also look for one that gives me a visual image that I can portray on my page to emphasize the passage - in this case the crown. And what a wonderful thing to know that the righteous God will award me - and you! - on the final day - as long as we believe. 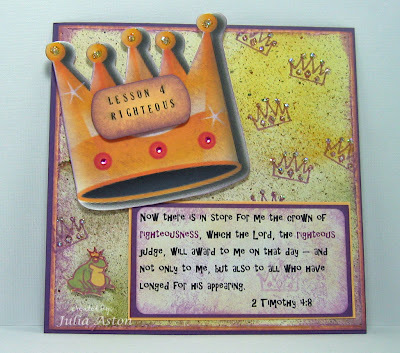 The crown stamp on the designer paper and cute crowned frog in the corner are from 2 different H&M Stamp sets. I found the big crown in the clip art on Microsoft Word and the sentiment was printed on my computer. I used stickles and gems to add sparkle. Come join us on this spiritual journey! You can find the thread in the forum on Split Coast as well as a His Holy Name link on my side bar. You can see all the pages I have created so far for these challenges here. The Double Dare Challenge for last Tuesday that I do with some SCS friends - was from Michelle (sf9erfan) and that was to case a card from the now 'old' SU catty. Wanting to use my 'bought em, love em, never used em' stash of stamps - I cased the card on Page 18 of the catalogue using the Organic Grace stamp. 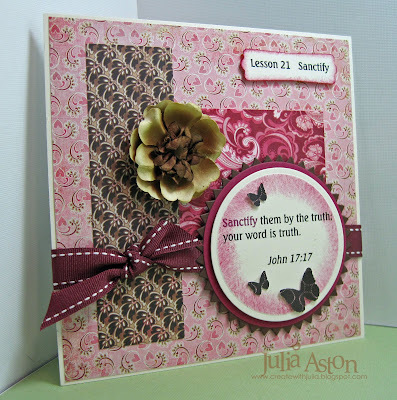 I used the flower instead of the dragonfly - changed the colors and cuttled the panel instead of stamping. 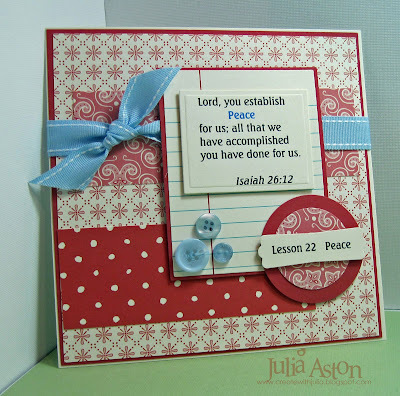 I used one of the sentiment stamps from Upsy Daisy. This is a 4 1/4 x 4 1/4 card. I thought it came out pretty cute! 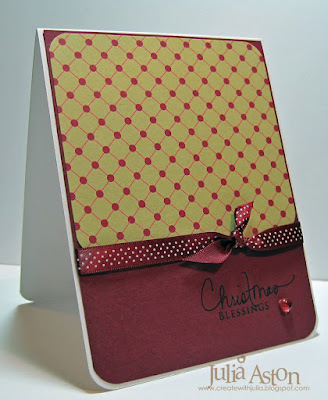 You too can join in our fun weekly challenges - just make a card using the challenge (case a card from the Fall Winter 2008 SU catalogue) Post it on SCS and use the keyword DDC. The Double Dare team will be looking for your cards!! There is no time limit to these challenges so come along! You can see all the Double Dare Challenge cards here. And you can see all the Double Dare Team members on my side bar (scroll down a bit). 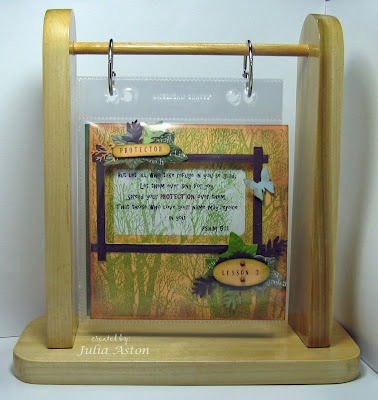 And I also wanted to share with you the wonderful project my DH Kent just completed for me to use for my "His Holy Name" challenge 6"x6" pages. Every other Sunday I'll be hanging a new page on this beautiful wooden rack. I'll be able to flip them over - back and forth - forth and back - so I can keep reviewing them throughout the year. Since there will be 26 of them - he's going to make me a 2nd rack so I can put 13 on each one so neither gets too full. He earned a BIG kiss for this one!! 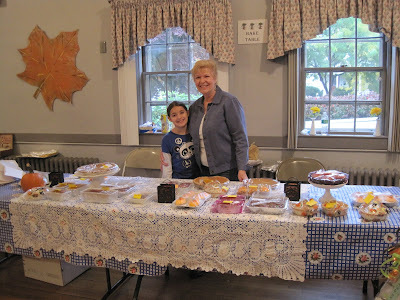 Short post today - I have a church meeting at my house so gotta go! Sorry that I didn't post yesterday - we ended up having about 8" of new snow and I had to help DH shovel us out! I'm so glad it waited until we were home from VT - I would have hated to come home to a driveway full of snow and had to unpack through it!! I changed the colors and made it a Valentine card with Heart Nesties instead of squares. I just placed the basic heart Nestability inside the scalloped heart Nestability and ran them through my Cuttlebug together and it gave me this heart frame - plus I can use the inside plain heart piece that punched out on something else later! Following the instructions on her card - I was so excited to learn how to use the small Nestibility bird for the wings on the middle size bird on this card! You just have to snip off the beak on the front "wing" - now why couldn't I think of that???!!! The next thing I have to show you today is my 6"x6" page that I made for the 2nd His Holy Name Challenge which is issued every other Sunday by Patter. You can click on the blinking box on my side bar to get to Patter's blog or you can also see the challenge in the forums on SCS just scroll down to comment #350. 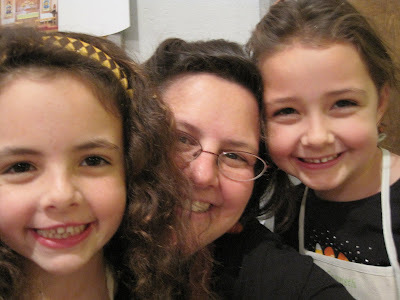 I'd love to have you join in on the challenges - you can join in any time and only do as many as you like. "For as the soil makes the sprout come up and a garden causes seeds to grow, so the SOVEREIGN LORD will make righteousness and praise spring up before all nations." I liked the analogy of things growing out of God's earth - and humans growing out of God's love. 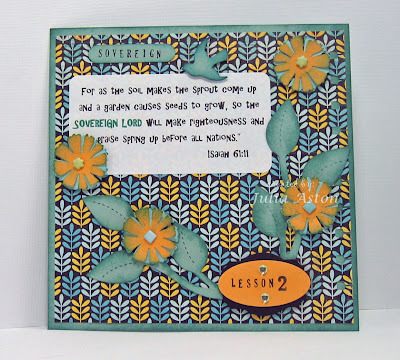 I used this great Urban Prairie designer paper by Basic Grey along with a leaf Sizzix die and layered flowers using a Martha Stewart flower punch. 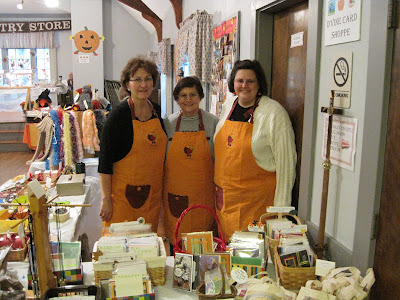 The bird is also from Martha Stewart. I typed the verse on my computer useing 3hourtour and CK fraternity fonts and printed it on an Avery Mailing label #8463. 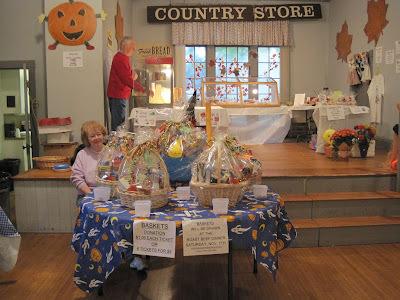 And finally as promised - here are a few pics from our trip to Vermont this week visiting my DH's brother and sister-in-law. This is the beautiful diningroom/livingroom in their gorgeous post and beam home. 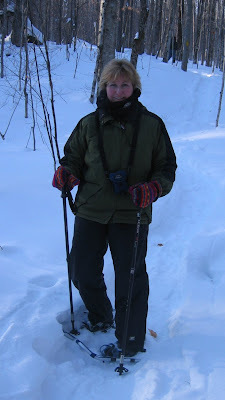 Here I am on our first day snowshoeing in the woods - with my neck all wrapped up in my Head Sokz (a tube thing made of fleece that is a scarf and hood you can pull up if you need it!). It was about 4 above on this day out. And you can see not much sun getting into the woods here! 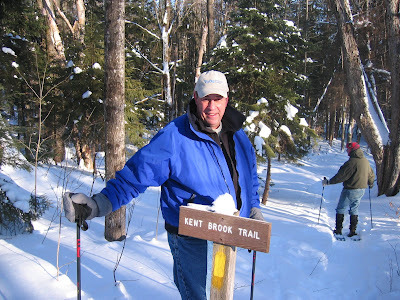 This is DH Kent at the edge of the woods when we just started out - standing by the sign of 'his' brook! That's his brother ahead waiting to lead the way! 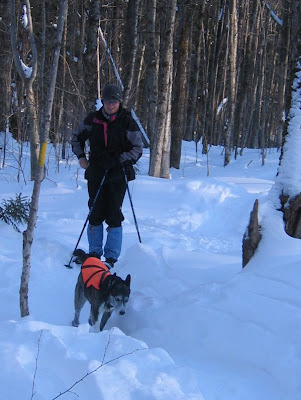 This is Kent's SIL bringing up the rear with trusty dog Blue - who loves to run through the woods and snow - she calls Blue back to the trail by offering treats of cheese. Blue wears a bell to let any wild animals know she's around. 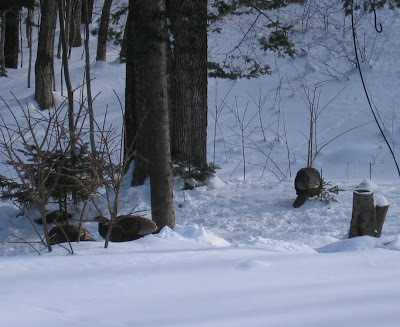 And here are some wild turkeys that came by their birdfeeders looking for a meal on a cold day! 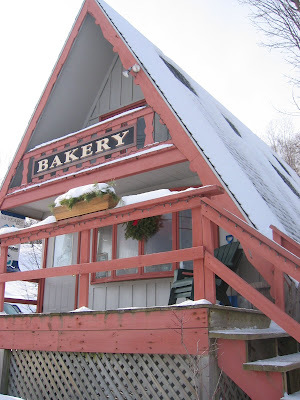 We got some delicious coffee drinks as well as some home made cookies and muffins at this wonderful bakery down the street from them. 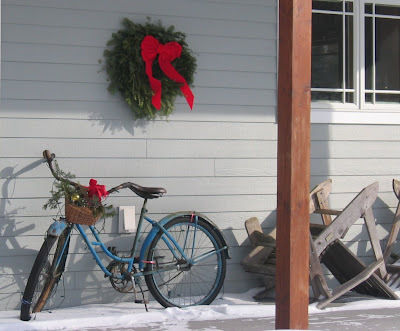 And a final shot of the old bicycle they have on their porch - it's lit with white lights at night.